Value Innovation Group is a team of global blue ocean experts with vast experience in assisting organizations to shift from red oceans of cutthroat competition to blue oceans of new market space for rapid and profitable growth. Value innovation is premised on creating unprecedented value for customers while minimizing costs to the organization. This is the cornerstone concept of Blue Ocean Strategy and Blue Ocean Shift – international bestselling books by world-renowned professors W. Chan Kim and Renée Mauborgne. Value Innovation Group works with leaders and their teams to discover new blue ocean opportunities by applying the market-proven tools and processes of Blue Ocean Strategy and Blue Ocean Shift. We have been working closely with the founders of Blue Ocean Strategy & Blue Ocean Shift for over a decade and are members of the Blue Ocean Global Network that consults for corporations, governments, non-profit organizations, and individuals. and design new products & services for rapid and profitable growth. Blue Ocean MasterclassTM is a half-day seminar designed to be an introduction to the concepts of Blue Ocean Shift, targeted at your teams and business partners. You and your teams will be challenged to think differently about your strategic options, through a series of thought provoking and perspective shifting case examples. You will be able to customize these case examples, from both the public and private sectors, to suit your business. You will be introduced to the methodology of blue ocean creativity and the ways in which you can shift your perspective. Our global blue ocean practicing consultant will be able to work with you to design a seminar that is tailored to suit your desired outcomes for your teams and business partners. Blue Ocean ExplorerTM is a 3-day in-house workshop that will take you and your team through the systematic process of creating your own blue ocean move using a step-by-step and collaborative process. The workshop combines a series of high tempo on-site activities and carefully coordinated field explorations using the blue ocean methodologies, tools and frameworks. The workshop offered in collaboration with Blue Ocean AcademyTM will be facilitated by one of our blue ocean experts, who is a successful global blue ocean practitioner, with over 10 years of industry experience. Blue Ocean ExplorerTM can be custom suited to use cases related to your business or organization’s goals. The workshop includes a 3-month subscription to Blue Ocean Studio™ + 101 for your whole team. Looking for a group of seasoned experts to work side by side with your team to identify new opportunities and see through execution of a new service or product for profitable growth? 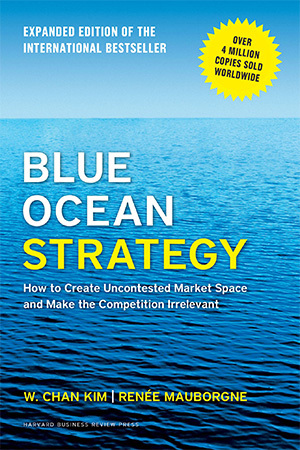 Blue Ocean ConsultingTM is typically a 3 – 12 month engagement in which our blue ocean experts work with a dedicated team in your organization to apply blue ocean processes and tools to develop and execute a market-creating strategy that will drive profitable growth. Consulting engagements are highly customized to best meet your organization’s needs, so please contact us to discuss how we can best assist you. What is Blue Ocean ConsultingTM? We apply market-proven tools and processes of Blue Ocean Strategy & Shift to achieve value innovation – simultaneously reducing costs to the organization while increasing value for buyers. We not only help transform organizations for growth but also equip teams with practical tools that will help them unlock their creativity to be more innovative. Focuses on change management in large organizations, advising family businesses, and helping startups unlock blue ocean opportunities. Specializes in formulating strategies to transform organizational culture. She joined the Blue Ocean Global Network in 2009. She is passionate about bringing humanness into organizational change to inspire employee engagement across all levels and successfully implement blue ocean strategies. Focuses on strategic planning and creating new opportunities through public-private partnerships. Leads public policy practice with emphasis on blending business with policy. Before joining the Blue Ocean Global Network in 2010, he consulted for non-profits and social enterprises in South East Asia and worked for a local government in Japan with a focus on English education development. Focuses on corporate growth strategy and inculcating creativity within organizational teams. Leads growth strategy practice for manufacturing industries. Blue ocean consulting with the public sector clients in the areas of innovation & entrepreneurship ecosystem, national economic planning, human capital development, public housing, etc. Before joining the Blue Ocean Global Network in 2008, he was a senior business consultant at Samsung Group advising its subsidiaries such as Samsung Electronics, Samsung Heavy Industry, Samsung SDI and Samsung Electro-Mechanics. He was part of consulting think tank developing Samsung group’s Process Innovation 6 Sigma methodology. Focuses on large-scale transformation projects and coaching to private and public sector leaders. Leads practice for innovation-driven growth in the service and technology sectors. Previously Gowrishankar held a leadership position in driving sales and customer relationships for Infosys Technologies – a Global IT consulting organization. 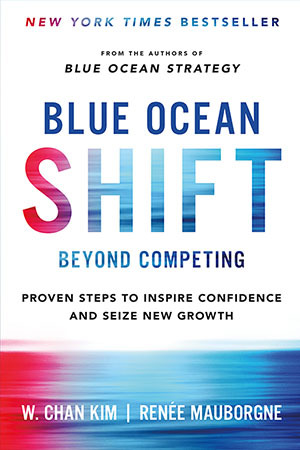 Focuses on helping senior leaders in public, private & social sectors to create new growth opportunities by applying the principles and processes of Blue Ocean Shift. Jae W. Park is the Chairman of Value Innovation Group. He has been working closely with the founders of Blue Ocean Strategy & Blue Ocean Shift over the last 15 years, helping numerous public & private organizations in their endeavors to make blue ocean shifts. He earned a PhD from Columbia Business School in New York and then started his academic career in 1989 as an Assistant Professor at INSEAD, one of the world’s top business schools, where he was voted as the Best Professor of the Year by MBA students. Over the last 30 years of his professional career, he has been in leadership positions with various organizations. He worked as a Senior Economist at ING Baring Securities, Research Director at LG Economic Research Institute, Director & Head of Equity Research at Salomon Brothers JV and the President of AMA Korea. Most recently, he served as the CEO & Dean at a Blue Ocean Strategy Institute in Southeast Asia for over 10 years. Interested in joining our team or partnering with us? © 2019 VALUE INNOVATION GROUP. All Rights Reserved.